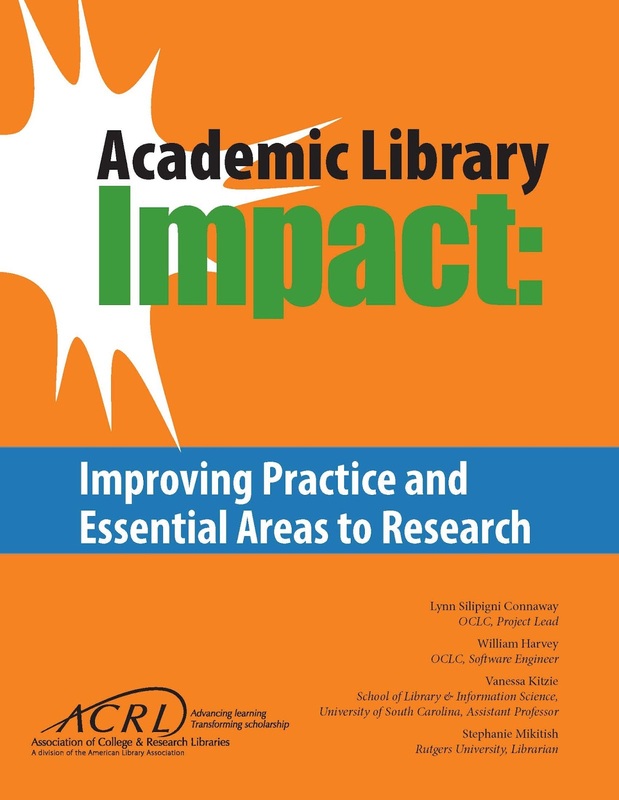 For many years, I've recommended ACRL’s 2010 report, "Value of Academic Libraries: A Comprehensive Research Review and Report," assembled by Dr. Megan Oakleaf. Now, at last, there's an updated resource on the topic. ACRL is calling this one an "action-oriented research agenda." 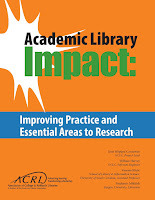 The Association of College and Research Libraries (ACRL) announces the release of “Academic Library Impact: Improving Practice and Essential Areas to Research.” Developed for ACRL by OCLC Research, this valuable resource investigates how libraries can increase student learning and success and effectively communicate their value to higher education stakeholders. A companion online tool, “Visualizing Academic Library Impact: The ACRL/OCLC Literature Analysis Dashboard” was created to help librarians and researchers "filter the existing literature for studies most relevant to their research interests and visually explore the literature and other data in the form of charts and graphs." If you want academic libraries to retain their respect and funding, study this wonderful tool and use this tool for all it's worth!